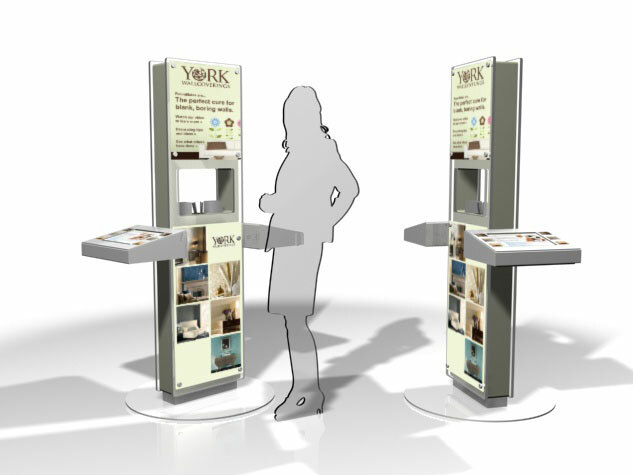 Our client was interested in developing a display solution that would help raise its brand perception by presenting a high-end look and feel. We did this across several concepts featuring large graphic areas and backdrops that could be easily changed out. To further enhance the customer experience, and interactive touch-screen was incorporated into the display, both interaction and perceived value.